Screenshot attached of result+settings (based on reading other posts). Is this possible? Or by utilizing the grouping by kind functionality do I eliminate my ability to put the folder at the top in some way? 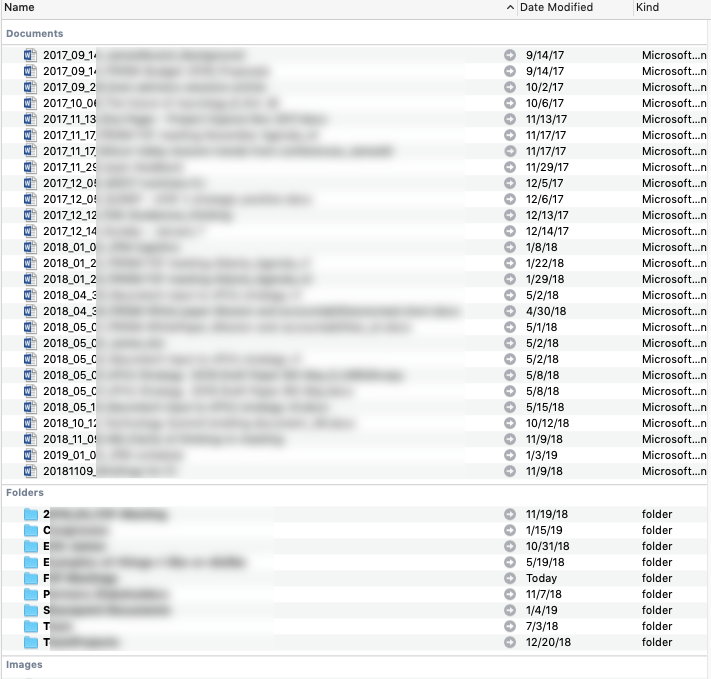 If I value folders at top over grouping - then is the path to UN-do the grouping and enable smart sorting - which is then folders at top with files sorted (but mixed together) underneath? 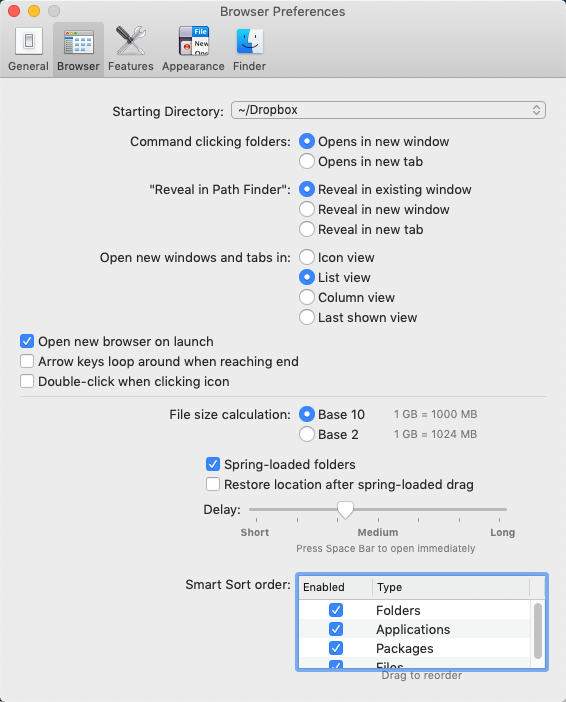 First of all, please use Preferences > Browser, and drag Folders under "Smart Sort Order" to the very top. What else would you like to adjust from here? Please attach a screenshot what you get and tell us what you'd like to achieve so we avoid confusion. Path Finder Support Team closed this discussion on 24 Jan, 2019 01:31 PM. Attached is an image of my browser prefs. It does not change, or fix, the issue/question I had. We don't indicate that the issue was fixed, sorry for the confusion. Our CRM closes the topic after each our reply indicating that we are looking to your further response. Have you tried adjusting the View options (cmd+J)? Path Finder Support Team closed this discussion on 30 Jan, 2019 10:27 AM.